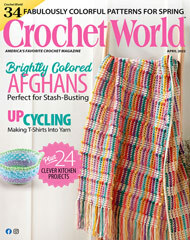 Looking for a way to keep all your crocheting supplies in one place? This beautiful crochet tote pattern is the solution. Size: 13 1/2" x 16 1/2" not including Strap.